Not all aluminum extrusions are equal. 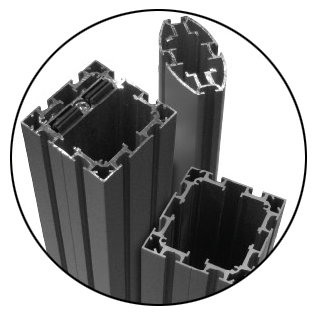 Our aluminum extrusions are lightweight, reconfigurable, and made from up to 70% recycled aluminum! These recycled aluminum extrusions provide structural integrity with significant design appeal. All are engineered to assemble quickly and look good for years. MADE IN THE USA. LED lights use 25%–30% of the energy and last 8 to 25 times longer than halogen lights. LED lights emit a mere 10% of their energy in heat, making them much more energy efficient and cool to the touch. Halogen lights use about 90% of their energy giving off heat, making them hot to the touch and banned from many convention centers as a fire hazard precaution. LED lights also save costs on power consumption. An average LED light uses 8 watts of power, while halogen lights average about 90 watts. ECO-Glass is a "green" alternative to standard acrylic or plexiglass and is made from 100% post-industrial recycled content. 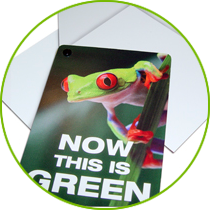 ECO-Glass can be used for infills, accents and direct print graphic substrate. Unlike standard acrylic, made from petroleum-based virgin plastics, ECO-Glass is made from 100% recycled material and is as durable as its competitors. Bamboo plywood is made from 100% rapidly renewable bamboo, using adhesives that are both strong and emission free. Bamboo is a member of the grass family and is harvested every 7 years. Our plastic shipping cases are 100% recyclable and made from recycled plastics. Rotationally molded from recycled plastics, the shipping cases are as durable as traditional cases currently used in the industry. They are rollable and easy to transport by a single person. Forest Stewardship Council (FSC) certification is the best indicator that wood is harvested sustainably. FSC certification is widely considered the best forestry certification program, because the wood is harvested while protecting fragile eco-systems, respecting native cultures, preventing illegal logging, and much more. FSC certification helps customers identify and purchase products from responsibly managed forest. 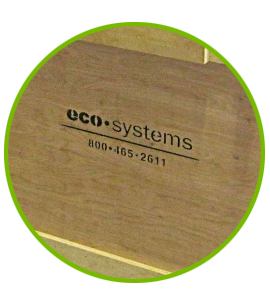 ECO-Board is a printable and completely biodegradable polystyrene material. It offers a 2-sided printable surface which makes it an eco-friendly alternative to Sintra (made from PVC), and can biodegrade in a landfill in as little as 9 months. 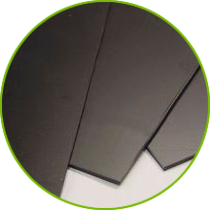 Eco-Board comes in 3 different thicknesses, 1/32", 1/16", 1/8". 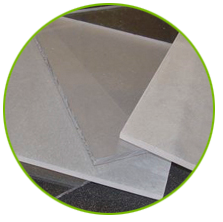 Our finishes and adhesives are water-based, low VOC (Volatile Organic Compound), or VOC Free and GREENGUARD Certified. GREENGUARD Certified products have been screened for over 10,000 chemicals by an independent third-party organization to help insure healthy indoor air. All paint and finishing products are low or no emitting treatments which release the fewest possible pollutants for minimal environmental impact. 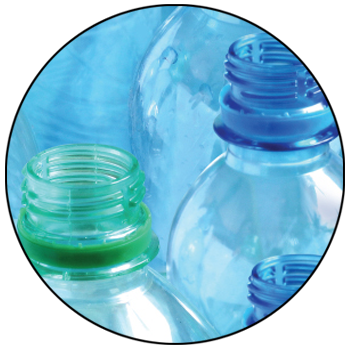 Flexible substrate material made from 100% recycled plastics. ReCo is perfect for graphic backers, substrates, and infills. Available in 1/32”, 1/16" and 1/8".